1. The moment you open your eyes in the morning train your mind to do 2 things. A. Express Gratitude: List 3 things you are grateful for right when you wake up and before you go to bed. Gratitude is like a muscle. It must be strengthened on a regular basis. B. Body and Energy Scan: Close your eyes (but don't fall back asleep!) and breathe into every part of your body. Breathe down to your toes, up your legs, along your spine, into the chest cavity, down the arms, around the head and face. Mentally connect and feel each part of your body to tune in. Assess how you feel. Are there any parts of your that feel rigid and tight, dull or numb, open and spacious? Without judgment be aware and simply feel. Next Level: Perform Controlled Articular Rotations (CARs) as a daily morning joint mobility routine. The joints don't have a direct blood supply like our tissues. They rely on movement through the full range of motion to get nutrients. Save your decision making power for the novel and important things. Have a morning routine that flows and supports your health and creativity. 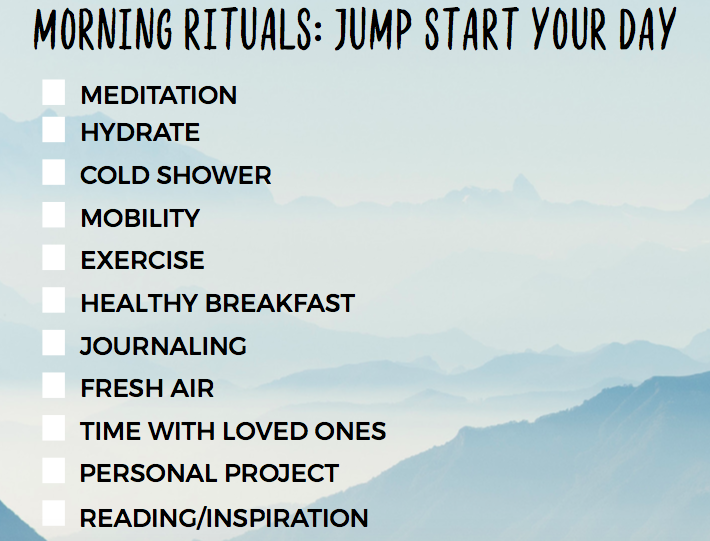 Below are a few ideas of how you can craft your own morning ritual. When you have a busy schedule and start to feel drained how do you ignite the inner fire and raise your energy? Go deep. Go beyond surface level. Make it personal. Why did you start in the first place? When you get tired remember that feeling of excitement, passion, and drive. Go to that place and keep it open! Wear it in your gestures, let it roll off your tongue in every conversation, feel it pulsate through you. Write your WHY down somewhere you see it everyday. Paint a picture in your mind of your why and connect to it everyday; multiple times per day until it sticks! Exercise is just as much for your brain and mind as it is for your body. Biologist and educator Carla Hannaford, Ph.D., writes in her book “Smart Moves: Why Learning Is Not All in Your Head,” “The more you use the body-mind system, the more it will grow.” Think of movement as a way to code your nerve networks. A variety of exercises that present unique challenges will code your body and brain for high-level functionality. Which means that by providing your body and brain with new information, you’re upgrading yourself! More movement throughout the day keeps your joints healthy, spurs creativity, elevates mood, and decreases cravings. Instead of one lengthy workout try to get in short to moderate sessions multiple times per day. For example, in the morning perform mobility and calisthenics. 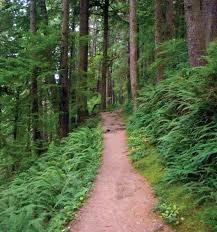 Mid-day walk, stretch, take the stairs, get outside for some fresh air. In the late afternoon hit the gym for strength and cardio. It may seem like exercise will take time away from business matters, but truthfully more movement throughout the day can make you more efficient, creative, and happier. Eat mindfully and intelligently. As the saying goes, "You are what you eat." Here's a post with a list of recommended foods. Give yourself just 5 minutes to do absolutely nothing but simply breathe everyday. Lie on your stomach with your arms crossed out in front and your forehead resting on the back of your hands. Breathe into each segment of the spine, starting with three to five breaths into the chest and upper rib cage, middle of back and, finally, into the low back. With each inhalation, fill and lift the torso off the ground as if you’re on hydraulics. With the exhalation, feel the abs pulling away from the ground. Setting aside 15 minutes to reflect and write at the end of your workday can improve performance. In one study, participants wrote what went well that day and what didn’t. The employees who recorded their thoughts reported 23 percent higher performance. 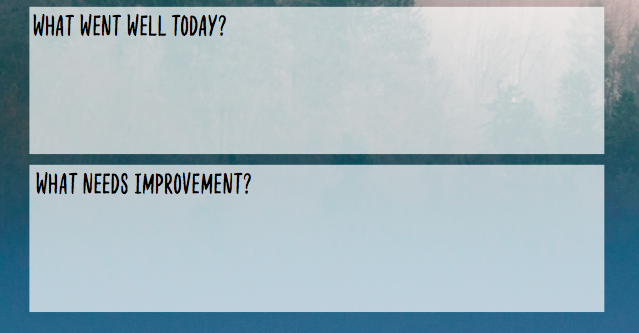 At the end of the workday or before going to sleep, record what went well that day and where there’s room for improvement. Perhaps record a few action steps you’d like to implement the next day and see if you get different results. I wrote this poem after a 20 minute meditation sitting on a park bench in Mysore, India. Prior to meditation I was feeling overwhelmed, sticky and hot (it was about 82 degrees out), and my mind felt like a wild horse taking off running loose without any sense of direction. I had many ideas that I wanted to put into action, but didn't know how to get my mind to cooperate. Even during the meditation it took a good 17 of the 20 minutes for me to settle down, release tension, and stop resisting. When time was up I felt relieved. It felt like I just an intense workout although the movement was all in my mind. My body finally relaxed. I stopped trying to force something to be created out of the ether. I opened up the notepad on my phone and said "Write something. What do YOU want to write right now?" There's a tug of war going on inside. Do I fight or run away and hide? The loudspeakers are blasting music I cannot understand. I waver to and fro searching for stable land. I try not to move, not to blink or rustle my feet. But, it's pumping and thumping shaking me right out of my seat. My mind wants to reach into the ether and grasp hold of familiar thoughts. It knows no other way that's how it has been conditioned and taught. On and on it goes in a monotonous tone. "Isn't time up yet?" I say as I look down at my phone. Seven more minutes. Do not move. Do not shudder. Do not complain. This is the process and what you must do if you want to remain sane. But what if I lost it. What if I spun out of control. Fell into a dark hole like a crippled foal. Who would save me and put the pieces back together? I guess you would just have to learn to float and be light as a feather. Okay I get it, right here right now I will do the work. After all I am borrowing this experience from you, I am your earthly store clerk. What would you like? How may I serve you? Can you please speak up I can barely hear you. Take the reins and guide this wild horse, this mind of mine. Teach it to be patient. Teach it to be kind. Oh what's that you say? I thought you said something truly profound like in the books I have read. But, maybe I am just confusing your words with what others have said. I can't tell the difference. The impressions run deep. Who are you and what secrets do you keep? My mind keeps chattering away to fill in the gaps. I suppose that is the alluring trap. Take the reins. I give you permission. This wild horse is strong and full of ambition. Okay, alright, you can be silent if you wish. Ride through the night like a watchman until this journey is finished. Oh wait, what's happening. The struggle is fading. Into the river we go... just wading. I can no longer resist or clench my jaw and fists. Silence flows into my pores. Into every nook and morsel. Deeper into the depths we go. Quietly, patiently, nice and slow. When you embark on a journey of learning something new whether it's learning how to perform a push-up, meditate, or play the violin, just the act of trying makes a big impact. That awkwardness, hesitation, and shakiness you may encounter when trying something new is truly your body upgrading itself. As we interact with the world through our senses we take in information and form new neural pathways. In the beginning it can be like walking through a dense forest, but as we continue to trek the path consistently a trail begins to form. It gets easier as specific neurons are used over and over again and they begin to lay down a thick covering called myelin. Think of myelin like pouring down concrete on that path. Now you have a road. Traffic flows freely. Nerve transmission gets faster and before you know it you have gone from a bumpy road to smooth cruising. The more you learn and practice the more neural networks light up! This is why my motto is "shine bright!" Through practice, you are shining from the inside out and radiating life itself. "The human nervous system is thought to consist of 10 (to the 11th power) neurons, about the same number of stars in the Milky Way galaxy. No two neurons are identical." - Smart Moves by Carla Hannaford, Ph.D.
Learning, not just using our minds, but by using our bodies is key for intelligence and a dynamic life. And, if you really want to be next level, put your heart into it. Backing your practice with positive emotion will keep you coming back for more. Just doing an action is not the same as embodying the action. "Neural connections can be altered and grown only if there is full attention, focused interest on what we do." Therefore, it's not just WHAT you do. It's HOW you do it. My bottom line is you have the ability to wire and re-wire yourself based on what you practice. Keep moving and challenging yourself. Be mindful throughout the process. Starting and trying is the most important thing.